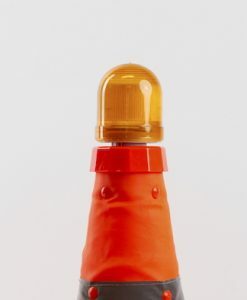 36″ H.D. 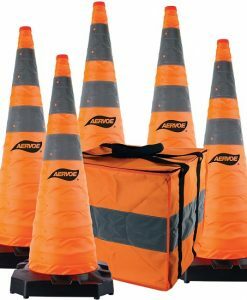 Collapsible Safety Cone 3-Pack – Aervoe Industries, Inc. 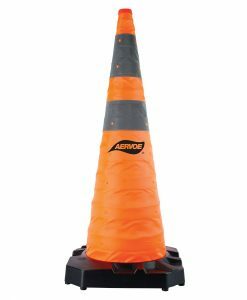 Contains 3 – 36″ safety cones. 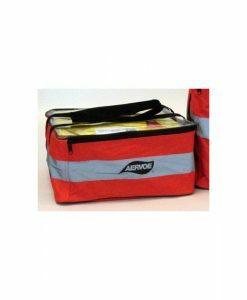 Each has an 8 lb. 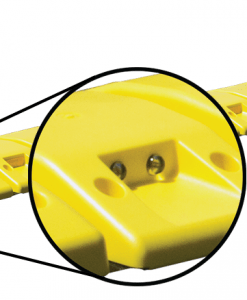 weighted rubber base and collapses for storage in a car trunk, utility truck, or tool box. 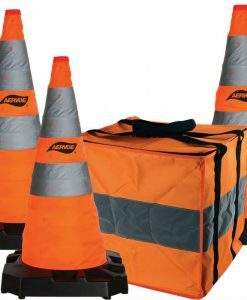 3-pack kits are available for the 28” and 36” Cones to comply with national NFPA 1901 Fire Vehicle and Apparatus requirements. 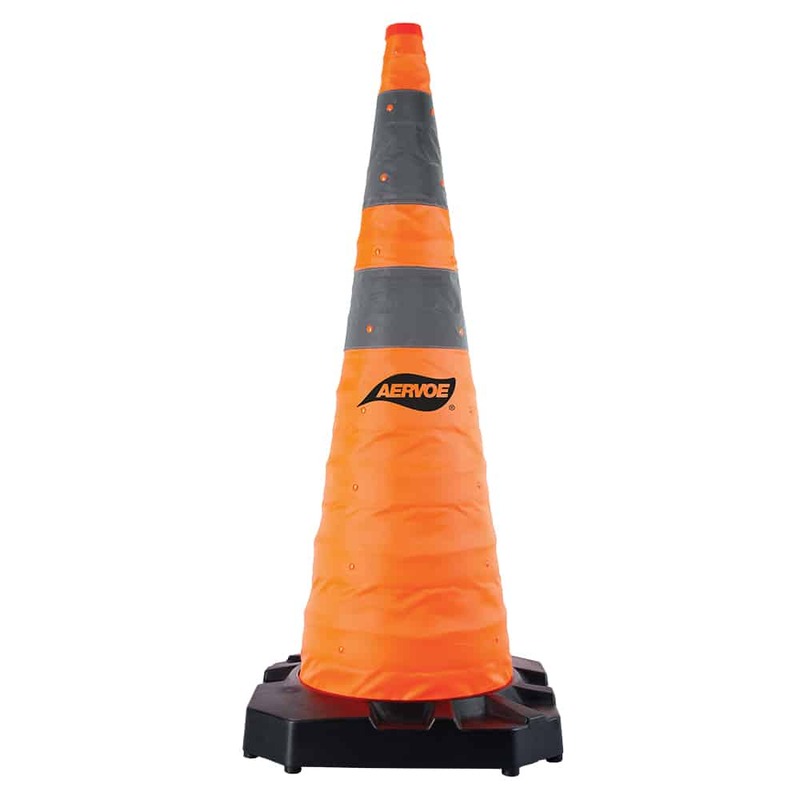 Also complies with MUTCD, FHWA and other local and state requirements for safety cones on commercial and utility vehicles. 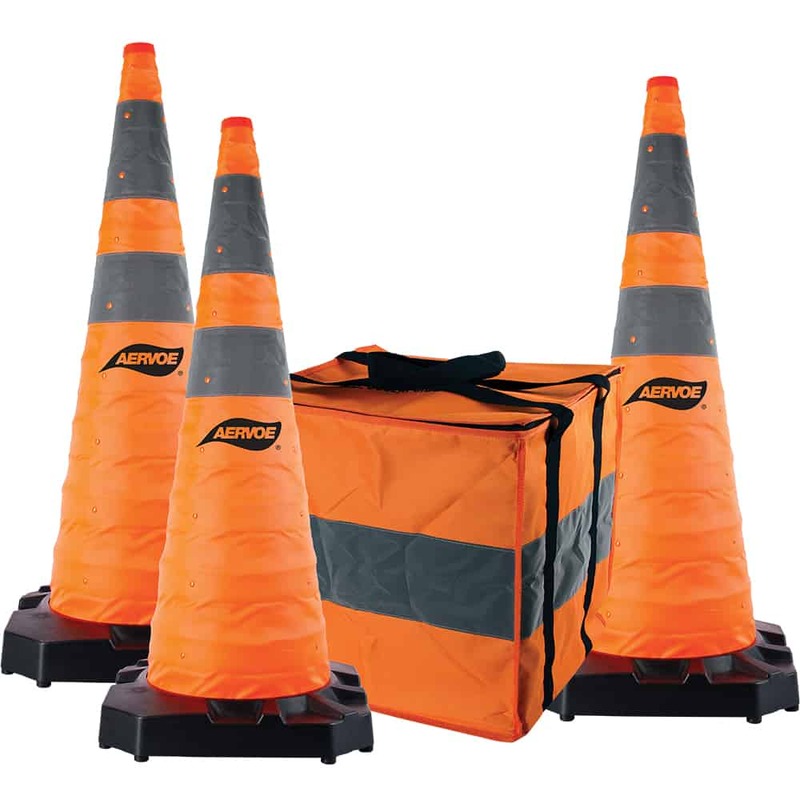 These kits can also accommodate an additional 2 cones to complete a 5-pack kit (2 additional cones sold separately).